Atlanta!! 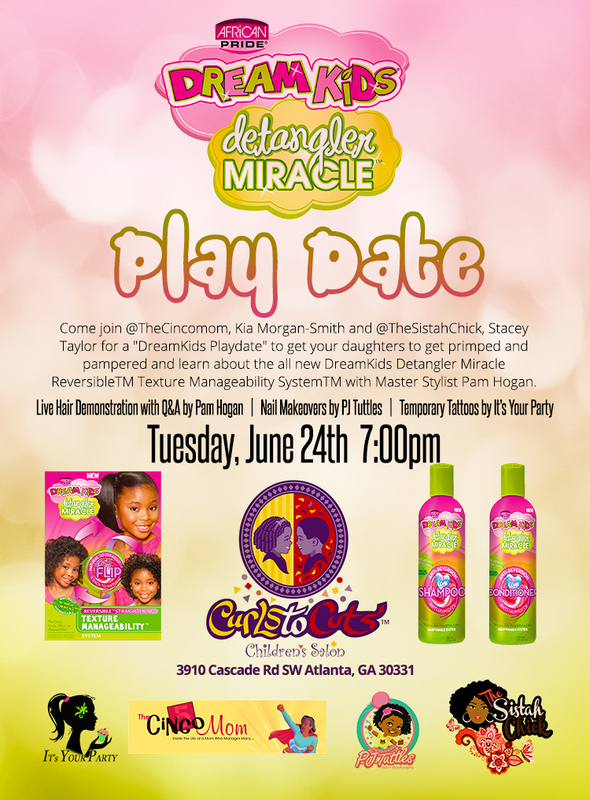 Join me on Tuesday June 24th with @TheSistahChick (Stacey Taylor) for a PLAY DATE @ Curls To Cuts Children’s Salon on Cascade Road for a LIVE demonstration PLUS learn all about #DreamKids Texture Manageability System. We’ll have food, giveaways and more and there will be a Primp and Pamper Station by PJ Tuttles and It’s Your Party!!! Follow #DreamKidsTMS and I hope to see you there!